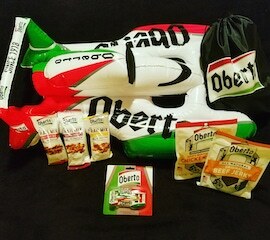 One lucky Deck2Decker will be selected to win an Oberto Prize Package. All you need to do is register to play at www.Deck2Deck.us, pick a boat for San Diego Bayfair, and cross your fingers you are selected after the picks are locked! New D2Ders and existing players are eligible. If you are not located in and around the Seattle area shipping will be worked out on a case by case basis. We do not make money at this so we have to watch our expenditures! Thanks for racing Deck2Deck with us in 2018!